I have a virtual race in September and a 5k road race in October. It feels good to train, but August is coming and that's when I usually down grade a little bit with running. Sounds great! I've never done a virtual race but I've heard great things about them. Good luck! I love doing smaller races! Better chance of getting an age group award too :) I hope we can both break 2 hours! Oh, these are some great races and goals! I broke 1:30 in the half a few years ago and haven't been able to since. I think I need to follow your training a little more closely and take some pointers! That's amazing Suzy! I think I need to take some pointers from you..not the other way around! As far as the taper in between the Towpath half and the EQT 10 miler...I ran 2 full marathons 2 weeks apart a few years back, first of all, what a terrible idea that was...second, I've since done something similar with shorter distances, the key for me was taking off or just doing some yoga/walking through about Wednesday, then doing some short-ish runs, 3-5 miles or so, easy pace, with a long run on that weekend in between, maybe 8-10 miles, depending on how you feel. I felt fine with no speed work or anything more difficult than an easy pace run. I figured I wasn't going to get more fit in 2 weeks so pushing myself wasn't worth it. Good luck! I live in Pittsburgh also, I've thought about the Brookline Breeze race, I spent several years living there, but I've got my eye on the Buffalo Creek Half in October, and Mighty Moraine Tri towards the end of September (my first!). So plenty to train for. And I'll be heading to DC for Ragnar (a 2 day running relay) again this fall! Can't wait. Thank you so much for the suggestions! That sounds like a great plan. I don't think I could do back to back marathons like that! Thank goodness these are both shorter. You should definitely do the Breeze! It should be lots of fun. I know a ton of people doing the Buffalo Creek half and regret not signing up this year! I'll have to check out the recaps and decide if I'll do it next year :) Good luck to you! I don't know when my next race is! I am trying to figure it out for September/October. Ugh, it's so annoying for me. I am looking at a possible half September 13 or maybe a 10K the week after. It's so funny how some people plan out races years in advance, and other sign up days before a race. I'm somewhere in between and like to do a few months ahead of time. I'm hoping by September it will cool down a bit and be easier for racing! I really need to race a 5k at some point! I keep putting it off and it's been years now. Looks like some great races on your schedule! 5ks are so much fun! I would love to see how you would train for one..I bet you would do an amazing job :) Thanks for stopping by! I think it's so cool that you have these races all planned out and goals set! It just seems like a great way to make the most of your training and of life! I obviously don't run, but I'm big on goal setting in general just to make it feel like I'm accomplishing something in life! Can't wait to hear if you beat your under 2 hours goal! I love following your fitness as well Gina! You do some crazy workouts :) I love how many different options there are so everyone can find an activity they enjoy! If your best 5k from earlier this year is a soft PR (as in, not an actual race effort), I think you would have no problem with shaving 40s or so off of your time. But, 4 weeks really isn't long enough of a training period to make any speed gains. From what I've read, it takes 10-14 days for training stresses to translate into a fitness gain. So with 4 weeks until the race, you really are only getting 2-3 weeks of training. If it were up to me (and obviously, it isn't so you do what you think is best, because I'm definitely not an expert! ), I would spend now through august 10th working on increasing your weekly mileage so that you are set up to start a higher mileage half marathon training plan. But regardless, I look forward to following your training and I bet you'll be setting all sorts of PRs this fall! Thank you for the input Heather! Just to clarify, I wasn't really starting from scratch on my 5k plan. I've been running all along (around 15-20 miles a week) and started to follow the plan that I linked. I really like this plan because it's higher mileage than I would normally run before a half marathon training cycle starts, so I'll already be around the 25-30 MPW range by the time I start the half plan. I hope that makes more sense, but thank you as always for your suggestions and help! I'll definitely take that into consideration. You're definitely a big inspiration for me in the 5k! I just didn't want you to get all hyped about the 5k only to realize that there just wasn't enough time to prepare (learn from my mistakes! 6 weeks was not enough time to switch from 5k racing to halfs!). But it sounds like your plan will get you to the perfect spot to start chasing down that sub 2 half!! I'm excited to hear how these races go! I especially can't wait for the October half! I bet you crush your goal! I think I told you that RATS was my first race and while I'd love to run it again, I just don't do well in hot weather races. I might do the 10-miler as a fun run since I missed out in it the last 2 years. I did a 5k training plan for JASR in 2014, and I do think that really helped. I really want to train for either a 5k or 10k after my half since speed is my weakness. Thanks Jennifer! I'm really excited as well. I've never felt this good before, so it has to end well, right? I hope you get to do the 10 miler this year! It's so much fun and you would love it! I did not know Pittsburgh had a 10 miler! I will have to check that one out. I registered for the Pittsburgh Great Race (5k). It is my first race so I am pretty excited! That's awesome!! The Great Race is a good choice for a first race. I highly recommend the 10 miler! That sounds like it would be a great race! I would love to run a race in Canada some time (maybe Seawheeze next year!) and hope you stay uninjured! Awesome goals!! GOOD LUCK! I can't wait to follow along and see how you crush these goals!! I really want to TRAIN for a 5K at some, and not just wing it. I'm really curious to see what I'm capable of! Thanks girl! I would love to see you train for a 5k. It's tough but really fun! A hilly 5K sounds rough, hehe. Love reading about your goals. Looking forward to updates along the way! Unfortunately hills are unavoidable in Pittsburgh :( Thanks for following along! Definitely! I convinced my whole family to come and volunteer so I'll be at the party for a while :) can't wait!! You go girl! My favorite training plan is the Nike+, which I am using now! I have tried Hal Higdon, but it wasn't as great for me as Nike+! My next planned race is the Chicago Marathon in October, but I'd like to squeeze one or two in before then! Thanks for the suggestion..I'll definitely check that out! Chicago will be so much fun..can't wait to see how you like it! i haven' committed to any more 5Ks this summer, but if I decide to do any - those are the two I would do. I have some friends running the full Towpath marathon. I didn't even know the half was an option....interesting. I may look into that. Breaking two hours is an awesome goal! you can do it! Wow, look at all the races you have ahead - very fun! 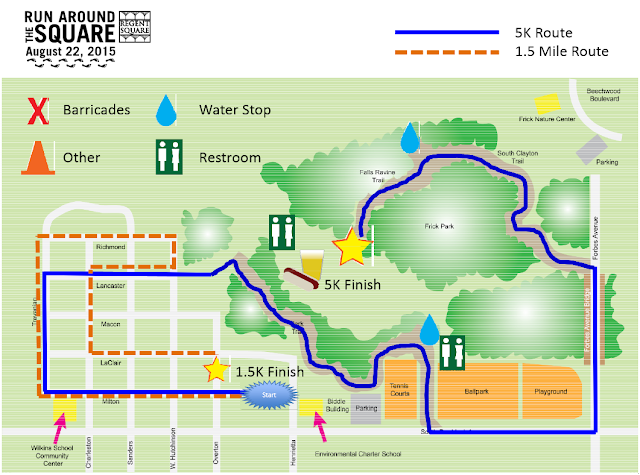 I would love to find a race to do in Seattle. Great way to explore! I love signing up for races all the time! Very addicting. I hope you can find some good ones!